I use this recipe for lots of different cakes! Yes you can do a Victoria sponge but you can also add different icing and add colours and cocoa if you want to change – just play around with it and you will see it so versatile and really delicious – and the best thing is that it is very easy to make! Add butter and sugar to mixer, cream. Alternate a couple of spoonfuls of flour and 1 egg until all added. add baking powder. Add vanilla extract and milk until consistency of a thick batter. It is very difficult to go wrong with this recipe – but just be aware it doesn’t rise that much, so don’t panic. Pour into cake tin (silicone is best) and bake in oven @ 200*c for 15-20 mins. Then turn down oven to 180*c and bake for a further 35-45 mins. you will probably need to cover with foil near the end to stop the cake burning. the 1st time you make this in your be careful as we know how ovens differ! Keep an eye on it and reduce heat a little if you think it is too hot! Leave to cool in cake tin for a while then turn out onto a wire rack. Leave until completely cool to ice however you choose. 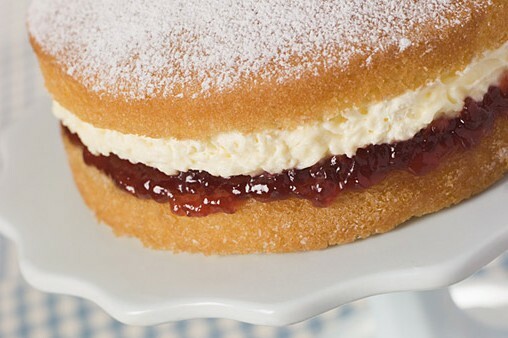 You can do the traditional Victoria sponge (the way the WI would do it) with only jam in the middle and icing sugar sprinkled on top (as above). Or add jam and buttercream to the middle. For chocolate cake you can add 2 tbsp cocoa powder mixed to a paste with 2 tbsp boiling water! Add food colouring if you want to make a a girlie pink cake, cover with pink icing and top with dolly mixtures! And if this is all to difficult cover with buttercream icing and add a cake topper! Easy! You can choose any character or even a photograph! Original recipe from nigella lawson, How to be a domestic goddess! – this book is full of great recipes! Melt choc & butter in bain marie – cool a little. Add sugar mix well. This recipe was from mag ages ago – not sure of ladys name but she was from Belfast and now lives in France! The ultimate cup – cake! 5 minute chocolate cake in a Mug! Not my recipe I must admit – I found it on another blog and tried it, fell in love and am now addicited. Above is the original recipe – but it is better if you add a few broken up squares of good quality dark chocolate – this makes it lovely and rich! Mix dry ingredients in a large mug. Add eggs and mix well, Pour in the milk and oil and mix throughly. Add vanilla extract and mix in. Pop in microwave for 3 mins @ 1000watts – the cake will rise over top of mug – don’t panic it is supposed to. Allow to cool a little if you can bear the wait, tip onto plate if you fancy it or just eat direct from the mug….mmmmm! Thank you E.Lee – i think i love you! Something Cakey Cake Toppers & More!